CSPA is thrilled to offer workshops to local performers, with discounts provided to currently contracted CSPA students. with guest artist Karen Olivo, Tony Award winner and television actress. 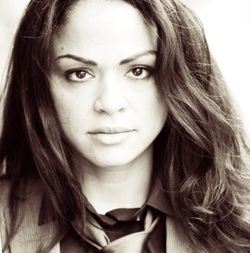 TAPIT/New Works Studio, 1957 Winnebago St.
Acclaimed actress of stage and screen Karen Olivo, along with CSPA owners Meghan Randolph and Liz Griffith, will lead this three hour intensive focused on acting for television and film. We can accept up to 8 participants. Each participant will receive a personal coaching session with Karen in front of observers. Participant copy (sides/scripts) will be individually tailored based on age, physical type, and experience level. The fee for participants is $50 ($40 if you are currently a CSPA student). Payment is due at the workshop or before. Registered participants who are not paid at the start of the session will not be able to participate. A resume or summary of your performance experience. PARTICIPANT REGISTRATION IS LIMITED TO 8. REGISTRATIONS ARE ACCEPTED ON A FIRST COME FIRST SERVED BASIS. IMPORTANT: On camera acting experience is NOT necessary to be a participant! Observers are able to watch the entire workshop. Questions and answers will be accepted from the observers at the end of the session. The fee for observers is $20 ($15 if you are a current CSPA student). Payment is due at the workshop or before. Registered observers who are not paid at the start of the session will not be able to observe. To register please email info@centerstagemadison.com. If you would like to bring a friend or a group with you to the workshop, please indicate how many will be in your party. OBSERVER REGISTRATION IS LIMITED TO 30. REGISTRATIONS ARE ACCEPTED ON A FIRST COME FIRST SERVED BASIS. 1) Send a check to PO Box 45454, Madison, WI 53744. Make payable to Center Stage Performing Arts. 2) Pay online via PayPal. Send to info@centerstagemadison.com. 3) Pay in person by cash or check (sorry, no credit cards accepted) on the day of the workshop.